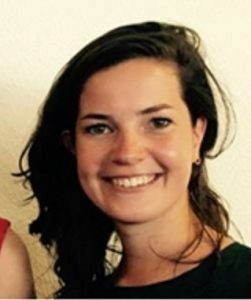 Hi, my name is Sophie Lijdsman and I completed the research master Cognitive Neuropsychology at the VU university Amsterdam. I’m highly interested in research in a clinical population and I think it’s important that research institutes and clinics work closely together in order to improve patient care. Currently I am working in Nijmegen as a research assistant on a project in social anxiety and testosterone, together with Karin Roelofs, Rianne de Kleine and Moniek Hutschemaekers. In this study we’re investigating the possible positive effect of testosterone on exposure therapy in women with social anxiety. This project is a collaboration between the Donders Institute for Brain, Cognition and Behaviour, the Behavioural Science Institute of the Radboud University and mental health institute Pro Persona.